When the 2018 LPGA season gets underway there will be at least one new Canadian competing full-time on Tour. That of course is Team Canada Young Pro Squad member Anne-Catherine Tanguay. 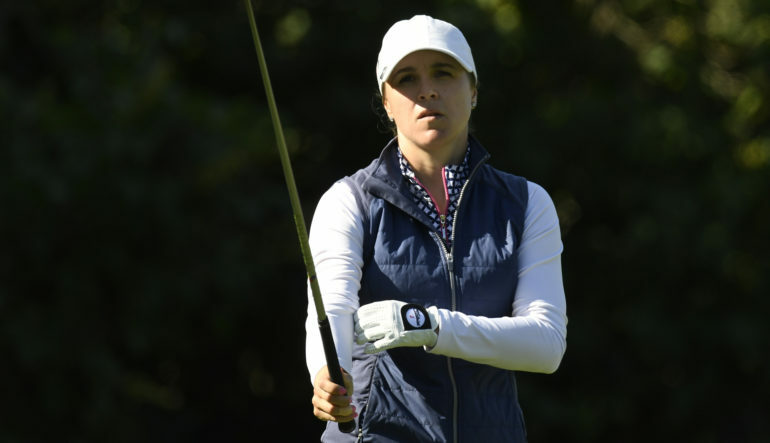 The Quebec City native locked up her card by finishing at No. 8 in the Symetra Tour’s season-long money list. With five top 10 finishes and a win at the Garden City Charity Classic in September, Tanguay had all but guaranteed her place next year on the LPGA Tour. 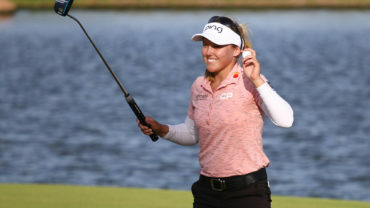 “It’s just really incredible…This week everything just clicked,” said the 26-year-old in an interview with Symetra Tour officials immediately after her win which scored her over $22,000 (USD). “One of my biggest goals was to pick a target and take an aggressive and fearless swing and that is really what got me through,” added the University of Oklahoma alumna, who majored in business. Tanguay also mentioned after her big victory that she was feeling a lot of nerves prior to the final round but was fortunate to receive strong support and comforting words from her caddie, JH Trahan – who is also her long time boyfriend, and now, her fiancé. During the CP Women’s Open last month, she spoke about their relationship and recent engagement. “Yeah, actually we got engaged about three weeks ago. We were on the road just before Wisconsin, so we just decided to kind of keep it low. So we’ve had some time to digest the news,” said Tanguay in a pre-tournament presser at the Ottawa Hunt & Golf Club. “I don’t know if it really changes anything, but for sure I’m really happy that my fiancé is with me, and it’s been a really a game-changer for me this year,” continued the 26-year-old who first met Trahan during a junior golf development camp almost 15 years ago. 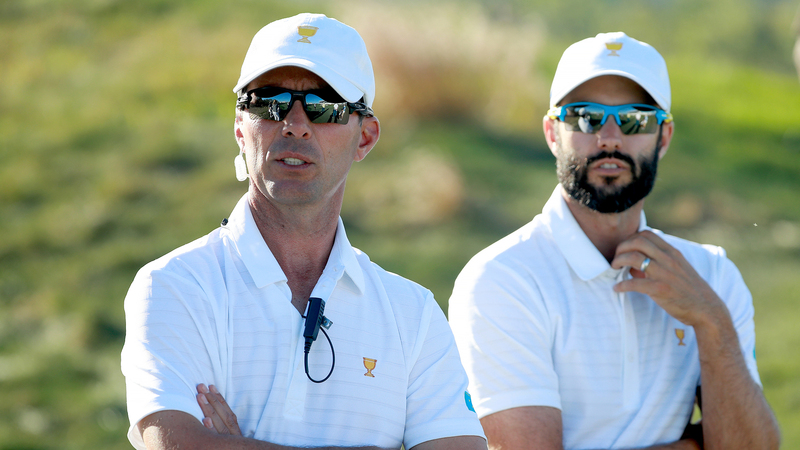 “So he does caddie and little bit of coaching and little bit of everything, so I’m just really, really excited about the engagement and about him having to be with me. So, we’re just really excited,” she added. After her triumph at Buffalo Dunes, Tanguay took to her official Facebook page to thank those who have stood by her side and supported her in her journey. “First of all, thank you Golf Canada and the Young Pro Squad for giving me the opportunities and resources to develop & grow into the player I am today. Thank you Tristan Mullally, Christie Gialloreto and Greg Redman for all your time & hard work,” she wrote. “Thank you to all of you who follow my journey and send me words of encouragement throughout the year, it means a lot and I greatly appreciate it,” Tanguay added. 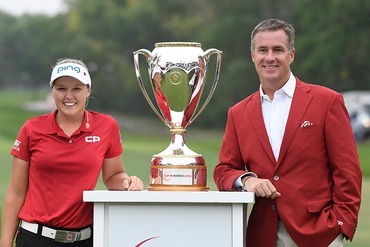 According to Team Canada national women’s team head coach, Tristan Mullally, the talented young golfer is doing all the right things to be successful on the golf course. “Anne-Catherine has played great this year. She’s someone who is really disciplined, organized, and works extremely hard – and always has a plan,” he said of Tanguay, who first joined the national team program in 2009 as part of the Development Squad. Mullally notes that the current Young Pro Squad member greatly benefits from having a dedicated team around her. “Our team has worked extremely well with her to support her in all aspects of her game,” he pointed out. Mullally adds that being able to play to her potential, combined with her consistency, has been the keys to Tanguay’s breakthrough success this year. “Anne-Catherine hits the ball a long way and is solid on the greens also; so she’s got a well-rounded game and she’s been able to put all the pieces together nicely this year,” Mullally said.